Droom jij ervan om jouw haar sneller en perfect gezond te laten groeien? Na jaren geduld heb je eindelijk de ideale lengte. maar je haar is dof, beschadigd en gespleten? Dan heeft SalonTOF goed nieuws voor jou! De haarlengte van je dromen, met schitterend haar van de wortels tot de punten, wordt eindelijk mogelijk. 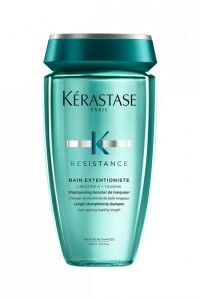 Kérastase introduces Resistance Extensioniste, the ultimate solution in the quest for long hair. Focused on keeping hair strong and healthy, so it can grow as long as you like, always looking glossy and gorgeous. Almost every woman has wanted long, luxurious hair. The kind that moves with you, that cascades to your shoulders and beyond down, down, down. It’s just that, whenever you try to grow your hair out, you run into problems: breakage, damage, dryness and dullness. As hair grows longer, it’s exposed more to styling and chemical stresses. 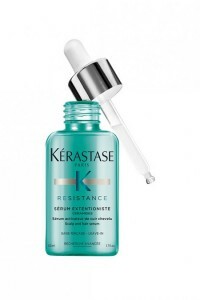 The hair scientists at Kérastase are aware of the difficulties of that growth process. That’s why they introduce the new strengthening and long-hair boosting routine for you to use at home. To grow your hair as long as possible in-between haircuts and keep you ends healthy. So we at SalonTOF, only have to chop off as little as possible next time. The Extensioniste routine targets roots, lengths and ends. It stimulates the scalp, then gently detangles lenghts while reinforcing and finally sealing ends for hair that is as full and strong at the tips as it is at the root. Your hair is fortified with no split ends and no breakage. 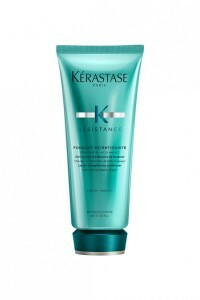 A strengthening shampoo that boosts strong hair growth starting at the roots. 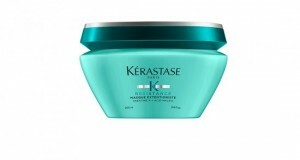 This purifying shampoo is enriched with Creatine R, an active complex to boost resilience and elasticity. Your hair is thoroughly cleansed to reach its ideal healthy length in perfect condition. This creamy and light textured conditioner is a restorative hair treatment that gently detangles for a comb-trough without breakage and uniform silky rinse. A highly concentrated serum with key active ingredients that stimulate the growth of strong healthy hair follicles. This energizing leave-in treatment is a key step to reinforce roots and promote a healthy scalp environment. Next PostHoe krijg ik thuis mijn kapsel zoals bij de kapper?